Client side Validation should be disabled as no client validation is provided. I am using EntLib 5 && MVC3. Your code compile but isn’t working. Is mandatory Entñlib v6.0? 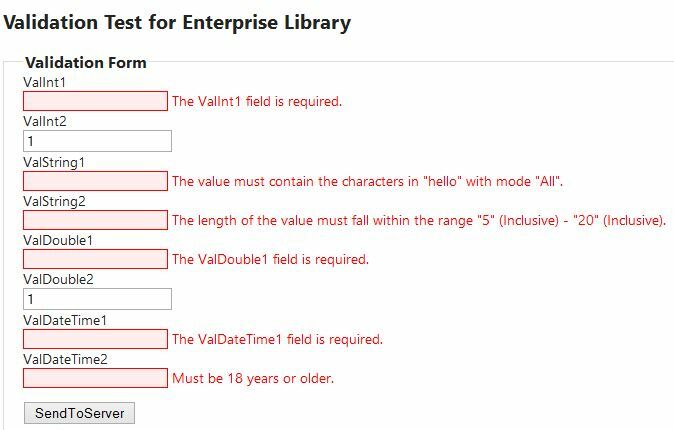 Could be EL5 to EL6 have some big changes, but I don’t know the changes in the Validation module or the dependencies.